Earlier today, Spyro Reignited Trilogy was officially revealed for the first time. 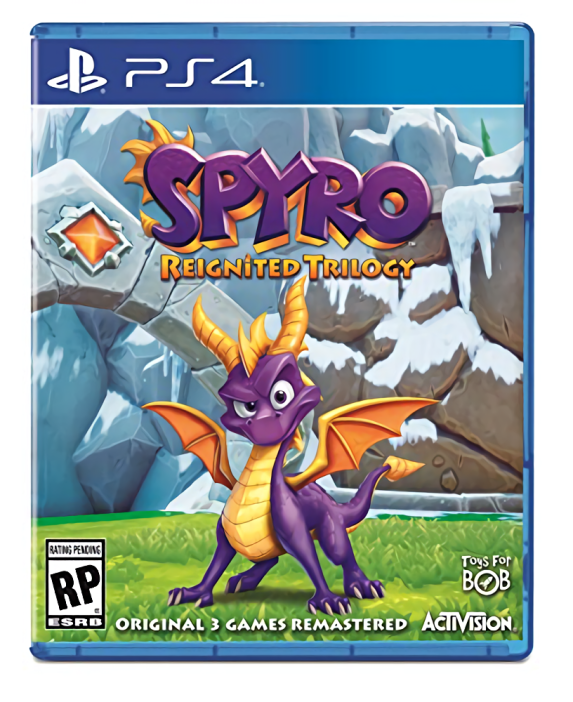 This game is a set of remakes of the first three Spyro games on one disc and is due to be released on the PS4 and Xbox One on September 21st 2018. However, one console it’s not been revealed for is the Nintendo Switch. Sure, it’s not been confirmed as not coming to the system, and like N Sane Trilogy there’s certainly the possibility it’ll be released there later, but as of now, no mention has been made of the title on Nintendo’s system. But that may be about to change soon! Why? 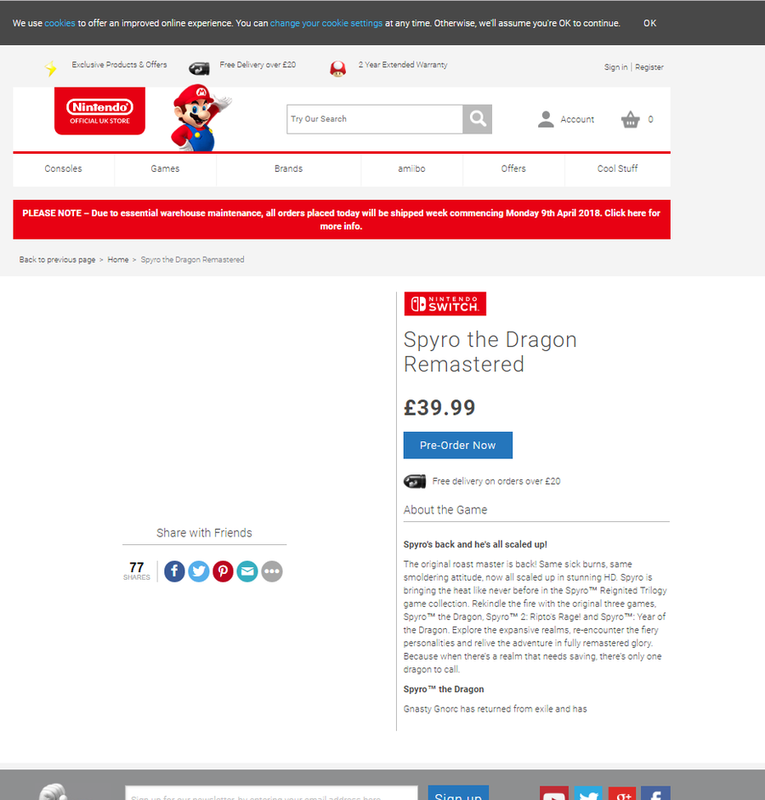 Because earlier today, Nintendo UK listed a very interesting choice of game on their website. That game? As well as this archive snapshot taken before the page was pulled down. And this likely means exactly what you think it does. 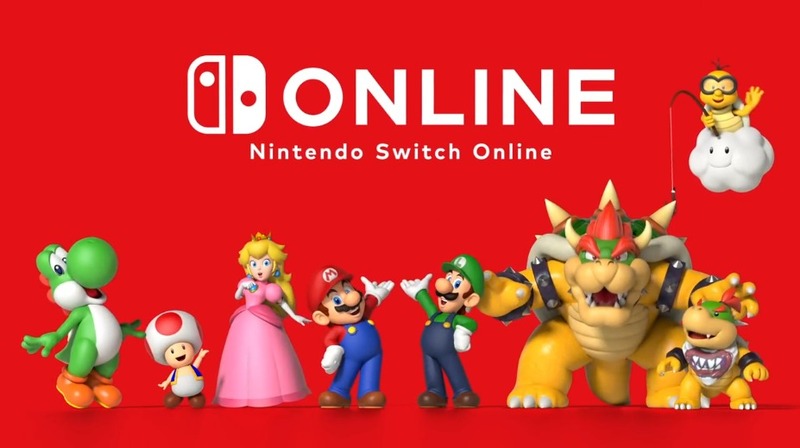 Official Nintendo websites aren’t usually the type to make mistakes here, and previous listings there have almost always correlated with a game set to be announced in future. Hence while it’s certainly not out of the realm of possibility this is a total mistake by the company, it’s exceedingly unlikely to be the case. Which in turn means that yes, the game page is right. Spyro Reignited Trilogy likely is headed to the Nintendo Switch at some point in the foreseeable future. It also likely means either the page was removed because of an upcoming reveal (perhaps in a Direct) or because it went against Activision’s marketing plan for the time being.